Social media acts as a barometer on what the world thinks of one thing or another. It has become the court of public opinion for many to the ire of a few. One such example is the debut of the 2020 Toyota GR Supra at the North American International Auto Show in Detroit. The media and the enthusiasts had a field day breaking down this collaboration with BMW in remaking an iconic sports car. They complained about the horsepower, the lack of a manual transmission, the size, the shape, the details, and the fact that it is a collaboration with BMW. You saw both sides of the debate. Some love the car. Others wished it was a pure progression from the iconic A80 generation. Everyone’s arguments are valid. 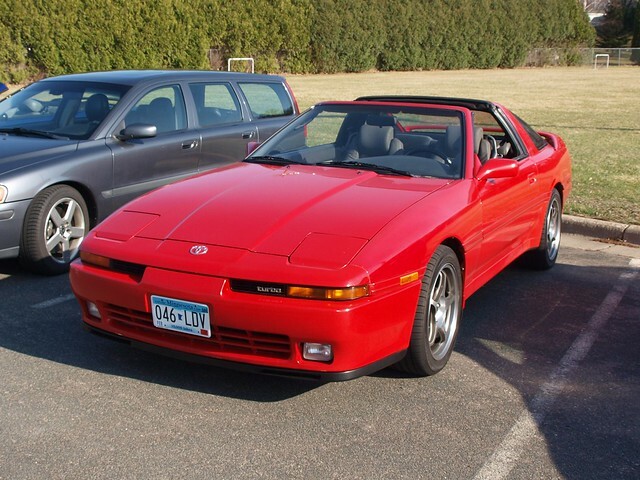 While we have been invited to move forward with the new Supra, I wanted to take a look back at one of the most important sports cars of my younger days. The reason why the Toyota Supra was important was not because of “The Fast and Furious” movie franchise. It was because it inspired the movies producers to include it as a Japanese Sports Car icon that was indeed fast and furious. Before it became a screen star, it was something else. The Supra first arrived at a very different time in the automotive world. The year 1978 was a period in transition. Earlier in the decade, the muscle car was rendered useless thanks to Federal regulations for emissions and a recalibration of horsepower ratings by the Society of Automotive Engineers. What was once a ball of horsepower became a toothless, smog-choked shell of itself. Ford reduced the Mustang from its iconic ponycar platform onto one underpinning the Pinto. General Motors soldiered on with the F Body duet of the Chevrolet Camaro and Pontiac Firebird, even as horsepower ratings were slashed to meet the new standards. Chrysler would see the end of the Plymouth Barracuda and Dodge Challenger by 1974. Meanwhile, the Japanese began to infiltrate the North American market. Across the Pacific came economy cars that would leverage the OPEC Fuel Crisis with its high economy figures and cheap-and-cheerful demeanor. The four Detroit-based automakers played catch up with their own interpretations of the new economy car. Even the Europeans stepped up with new products to counteract the Japanese. It was not just economy cars that the Japanese were attracting North American consumers with. The 1970 debut of the Datsun 240Z was the catalyst of the growth and interest in Japanese cars. This lightweight, long-hood, six-cylinder superstar captured the enthusiast at the right time. The original Z did not have muscle car horsepower, but it can take a curve perfectly and satisfy the driver at the same time. 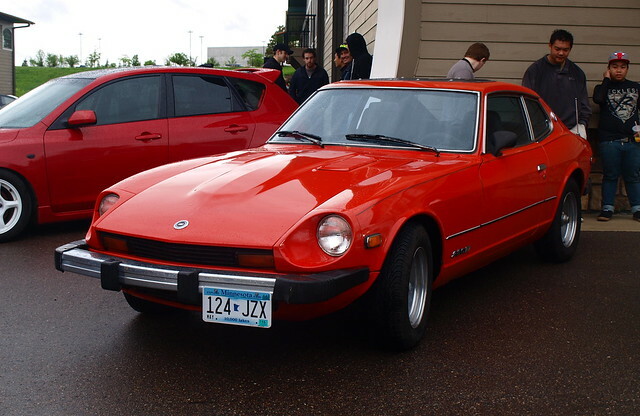 The popularity of the first-generation Datsun Z prompted the company to add another model – the 2+2. The original two-seat Z was great for those looking for an affordable alternative to American and European sports cars. The 2+2 expanded the breed. Some would say that it would soften the Z’s image for consumers. Meanwhile, Toyota was causing a stir with its Celica sports coupe. Debuting for 1971, the small two-door with its Mustang-Barracuda inspired design created a new level of enthusiast car that broke through with consumers. A few years later, the notchback coupe with spawn a Liftback model. If there was ever a boost that Toyota needed, the Celica Liftback would be it. By 1977, it was clear where the Datsun 280Z was going. The two-model lineup already put the Z in a different class, but somewhere in-between two major classes of sports coupes. Below the Z was where the growth was happening – right square in the Celica’s segment. Yet the Celica was the best in its class – unless you want to argue for the Volkswagen Scirocco. Later that fall, a new Celica was introduced. The second generation A40/A50 platform was shaped into a curvaceous body from the front. They emphasized the Liftback over the coupe as the focal point of the Celica lineup. For advancing the breed, Toyota had a smash hit with the Celica. Helping the A40/A50 Celica’s cause was a new Liftback model. The stretched the car by 5.1 inches to accommodate an in-line six-cylinder engine. Everything else from the firewall rearward was kept the same. The 2.6-liter in-line six was the centerpiece of this elongated Celica Liftback, powering just 110 horsepower. Inside, the interior was given a more luxurious treatment – a cut above the most expensive Celica. 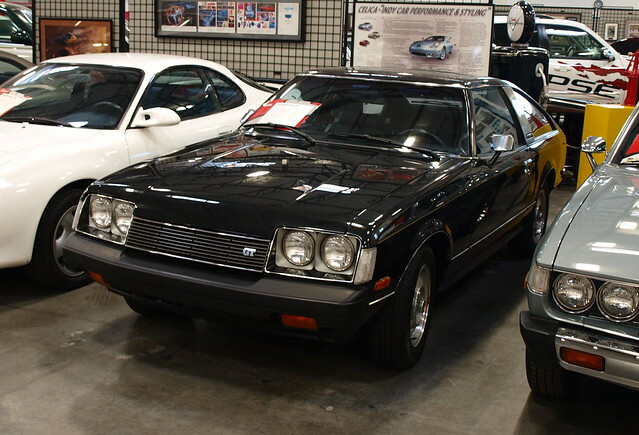 By the start of 1979, it arrived stateside with a name – Celica Supra. 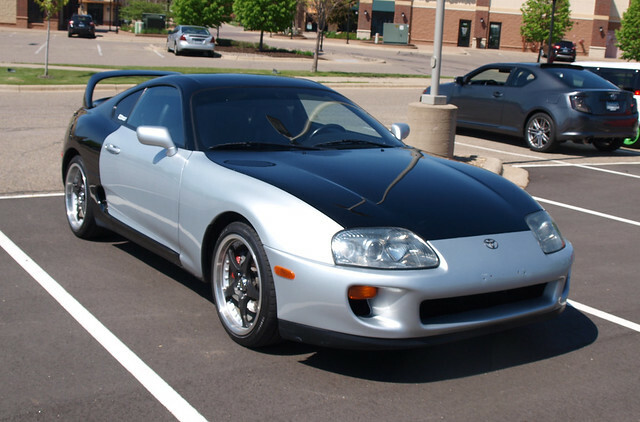 To say the least, the first-generation Supra had two personalities. It was a boulevard cruiser with cushy seats, a few more extra features, and a neatly-sized six-cylinder engine. It also had a sporty personality that stemmed from its Celica roots. However, most consumers did not see it as another Celica. The sticker price reflected something more aspirational and premium than a coupe for enthusiasts. 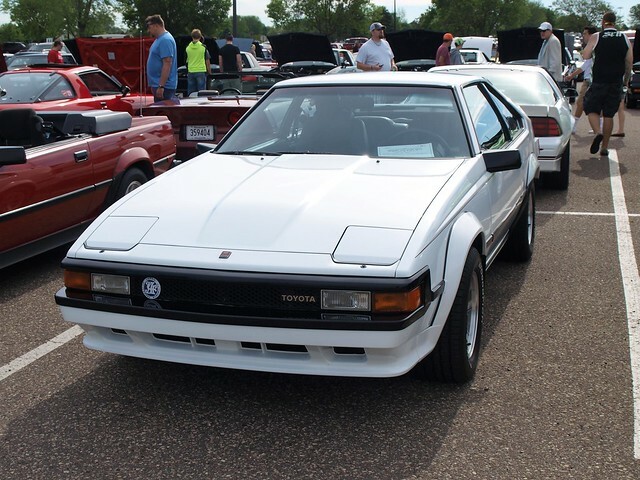 Toyota in the USA did see the potential for the Celica Supra as a robust sports coupe. Consumers saw more sporty bits added to the bigger Liftback. For 1981, Toyota raised the displacement by 200cc and added six more horsepower. It seems that the Celica Supra began to have its own personality. It was gaining some competition in a defining segment that will play a critical role in the Supra’s development. That development was starting to bear fruit in the fall of 1981. A new generation Celica was introduced. It had a very angular design with sharp creases and folds all around. Gone was the curvaceous Celica that boosted the promise of Toyota’s popular sports coupe. The same new angular design would appear on a larger coupe from the same platform. 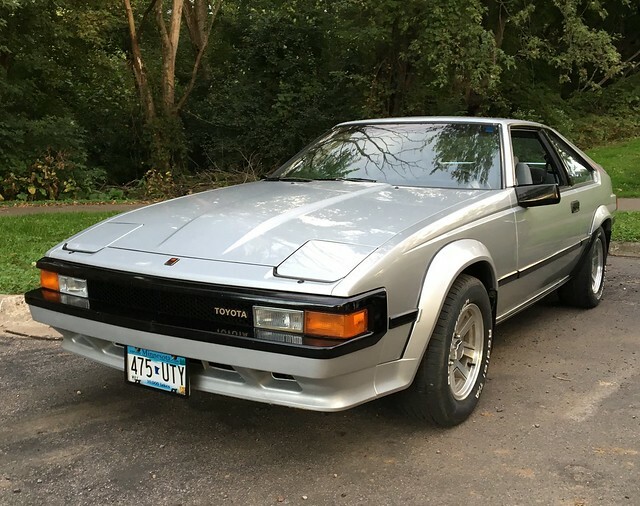 Still called the Celica Supra, the gap between the two Liftbacks were widen in not just size, but of several distinctive features that would define the Supra further. For one, the 2.8-liter engine would have a second camshaft above the cylinder head. It was still a 12-valve set-up, but the added camshaft would allow for a higher threshold of performance. From a mere 116 horsepower, this new 5M-GE engine would put out 145 horsepower. The new six-cylinder engine sat underneath a long hood that would end with a blunter front-end encasing pop-up headlamps, and a deep grille. This design alone would define this generation of Supra. It spoke of the aggression this coupe will exhibit for its occupants. A Supra customer in 1982 had a choice of two distinct models. For those who want the poshness of the previous model selected the Luxury model. With its new design, the Supra had aspirations to compete with personal luxury coupes of the time. However, enthusiasts have found their match in the Performance version. With wider tires, deep alloy wheels, extended wheel arches, and a spoiler on top of the hatchback, this became the enthusiast’s weapon of choice. The Performance Supra was seen as a contemporary to a growing list of larger, higher performance sports coupes. The Americans had the Ford Mustang GT, Chevrolet Camaro Z28, and Pontiac Firebird Trans Am to do battle with the Supra. 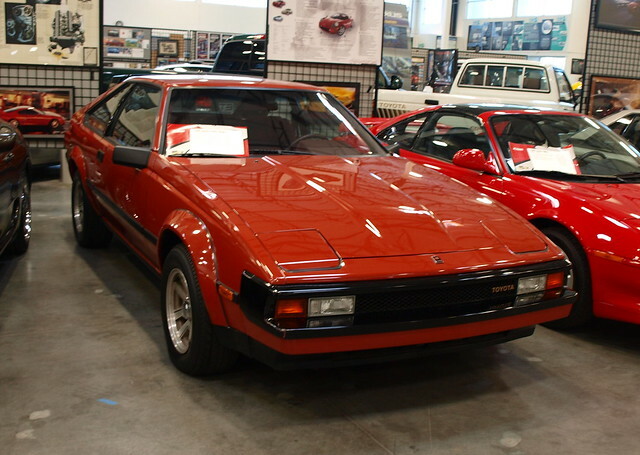 Japanese automakers offered up the Datsun 280ZX, the Mazda RX-7, and the newly introduced Mitsubishi Starion – also known as the Chrysler Conquest wherever the three-diamond brand was not sold. Europe had a special competitor – the Porsche 944. This group of high performance and attainable sports coupe would define the enthusiast would in the 1980s. One would argue that the Supra was the best executed car of that group. I certainly felt that way. This was the generation that put Supra on the map and right square inside of a horsepower battle. Granted, the horsepower numbers aren’t what they today, but imagine the excitement when by 1986, the Supra received a horsepower bump to 160. 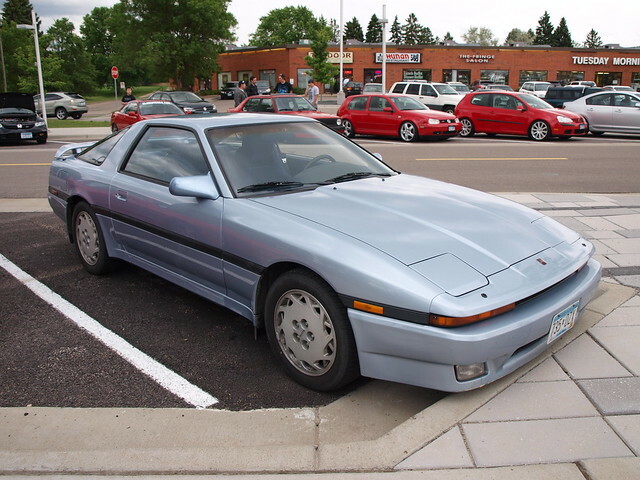 If there was one car I really wanted to drive at that time – it was the A60 Supra. Someone told me that it would remind me of a Lexus RC F if it were made in the mid-1980s. I would probably doubt that, since many A60 Supra owners would attest to a more tactile feel in this big Toyota coupe. I would love a spin in this beauty, since it represented an icon at a time when my driver’s license was still fresh. There is another argument to settle. It would transpire back in the fall of 1986. Toyota finally separated the Celica from the Supra. The Celica went to a front-drive platform and a design language that was ahead of its time. The A70 Supra went for a more evolutionary direction. It retained it rear-drive platform, but it looked a bit more conservative next to the curvy Celica. There was some integration of the Celica’s themes, but you knew it was a Supra from the latest interpretation of the hidden headlamp/blunt front end. A lot of the angles became rounded, a sign of the times. It was not just the body that was changed on the A70 Supra. The in-line six-cylinder engine increased in size to 3.0 liter. It retained the double overhead camshaft design, but added two more valves per cylinder, making a 24-valve monster. The 7M-GE enjoyed a power boost to 200 horsepower. This Supra also caught the turbo bug. Back in the 1980s, turbocharging was not meant to replace displacement. It was to add performance. Toyota had been working on turbocharged engines in Japan, in which they decided to bolt on a turbocharger and an intercooler to the 7M-GTE to raise the power rating to 230 horsepower. To give some context as to how important these power figures were at the time, consider that the Ford Mustang LX 5.0 and GT and their Windsor V8s were rated up to 225 horsepower. The Porsche 944 Turbo S was introduced for 1988 with a 247-horsepower version of its four-cylinder powerhouse. Regular 944 Turbos has 217 horsepower until 1988. The Nissan 300ZX turbo had only 205 horsepower, until 1990. Nissan added a second turbocharger to its 3.0-liter V6 engine, boosting power to 300 horsepower. The A70 Supra was caught up in a new horsepower race that saw numbers never thought possible after the imposition of emissions regulations and the recalibration of the SAE’s horsepower rating system. What Supra owners found was their big sports coupe went through maturation process. One piece of evidence was the interior – advanced for a Toyota of the time. The instrument panel featured a binnacle that ran two-thirds across the fascia, with every gauge necessary. The center stack sat below it with a low position for the audio system and climate controls. For Toyota, this was a departure from any coupe before it. At its mid-cycle refresh, the Supra gained a new personality. The front bumper fascia now featured split grilles. If you thought that the Supra was going to be a mature big sports coupe with adequate horsepower, you were probably not prepared for what was to come next. We probably saw it coming when Lexus introduced the SC luxury coupe to its lineup in 1991. It sported a new design philosophy where curves and curved shapes would dominate the car inside and out. It first appeared with the V8 from the LS 400, but a year later it would arrive in a SC 300 model with the infamous 2JZ-GE – a 3.0-liter in-line six that would be the ultimate statement in Toyota performance. A couple of years later, the same platform would spawn the A80 Supra. Some have said it was over-styled. Some said that it was bonkers looking. Some even pondered why there were too many curves on the thing. And, yet, it would become an icon. It was as Toyota wanted to push the Supra in everyone’s face, with its race car-inspired styling. Not tom mention its cockpit-style interior. The entire dashboard was simply wrapped around the driver. Every control, instrument, and switch were within reach without having to dig underneath the belt line for it. What makes an icon is iconic power. While the regular 2JZ-GE got 220 horsepower, it would be the Turbo model that would cement its place amongst the idols of the car world. That engine came from the factory with 320 horsepower. For the mid-1990s, that was massive. This kind of power not only exceeded those of its direct competitors – now including the Mitsubishi 3000GT – but the Supra appeared to have higher aspirations. The Acura NSX was in its sights. The Porsche 911, as well. 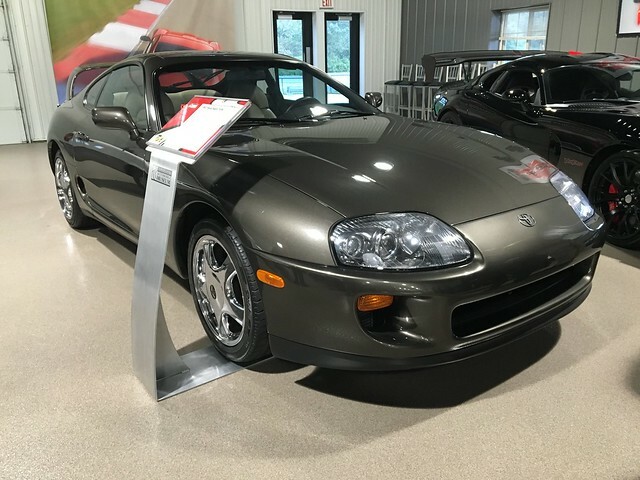 The A80 Supra made its final appearance at Toyota dealers in 1998. A few years later, the icon would reappear as a film star. The plot goes like this: Brian O’Connor’s Eclipse was destroyed by Johnny Tran and his gang. The undercover cop would approach his boss for a new vehicle. They found an A80 Supra in a junkyard. They rebuilt it, made it faster, and would become a hero in the film. That movie was “The Fast and The Furious.” Because of the late Paul Walker’s turn in that A80, the Toyota Supra became a legend. 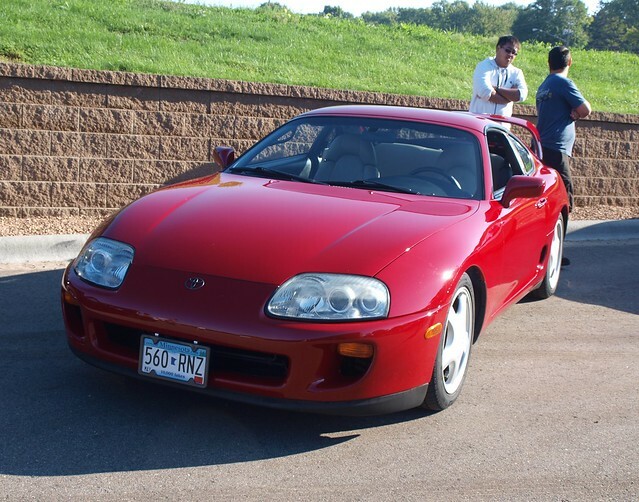 Since 2001, the enthusiast community asked Toyota constantly if there would be a new Supra. After being the “worst kept secret” in the automotive industry, there is now an A90 Supra. What do I think of the new Supra? Why don’t we until I get to see one in person – or, rather, drive one. When an icon is discussed, one must see where the legend began. One must follow its history to understand the present and future. The Toyota Supra’s history is a rich one. Now, the story continues. And, the legend will grow.